The launch drew top Cameroonian political and arts personalities. 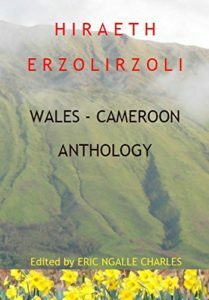 The first ever Welsh-African joint anthology was enthusiastically covered in all Cameroonian arts media. Wales Arts International funded travel by Eric, Ifor and Mike as part of ongoing projects to develop Wales+Africa arts links. Wales PEN Cymru is specifically interested in supporting refugee/exiled writers in Wales. Eric is an excellent example of how, as time passes and political scenery changes, an exiled writer can become a two-way ambassador. 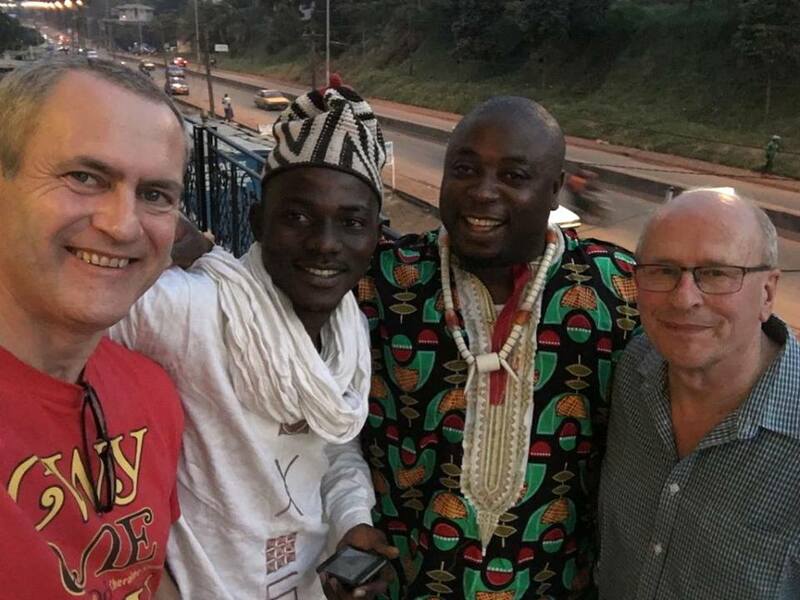 Ifor ap Glyn (National Poet of Wales), Roaul Djimeli (director of Clijec – young writers’ association of Cameroon), Eric Ngalle Charles (writer and editor), and Mike Jenkins (writer and editor). 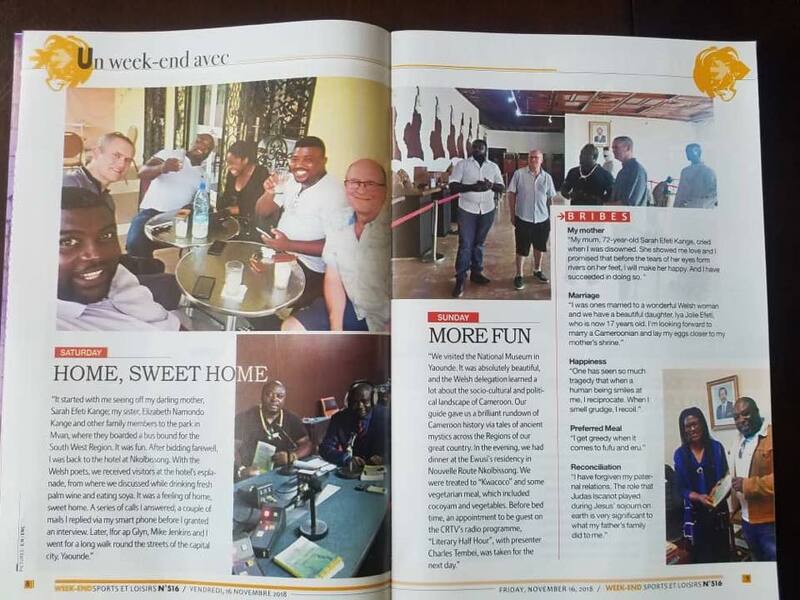 Media coverage for Eric Ngalle Charles bringing Welsh poets to Cameroon.